Pastor M. Keith Cooksey is a charismatic leader and visionary who serve as the founding Pastor of New Covenant of Faith Church in Crosby, Texas. Pastor Cooksey is an international inspiration that is on mission to extend compassion, hope and a message of empowerment to the disenfranchised. Keith Cooksey sphere of influence encompasses leaders who have faced and are facing struggles, trials, rejection, and set-backs. His intellectual insights, wisdom and empathy encourage a leader that through grace and responsibility restoration is available in Christ Jesus. The Humanitarian & Outreach service of Pastor Cooksey includes impacting the lives of at-risk youth and incarcerated teens. He also coaches parents and educators on how to stand and remain positive during the storms of life. His practical and biblical approach provides help, hope, awareness and development initiatives to start living life as God purposed. Pastor M. Keith Cooksey is a native of Houston, Texas. He accepted the Lord as his personal Savior at an early age at Greater Mt. Olive Baptist Church under the leadership of the late Rev. H. A. King. 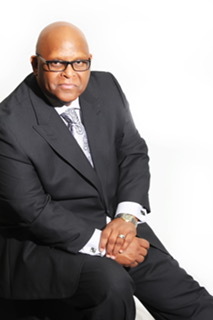 Pastor Cooksey entered the ministry in 1993 at St. Matthew Baptist Church under the leadership of Rev. Leroy Lacy. In 1997 while serving as Minister of Christian Education under the leadership of the late Rev. Robert I. Dixon, Pastor Cooksey accepted the call to pastor True Vine Baptist Church of Crosby, Texas. In 2003, being led by God, Pastor Cooksey organized New Covenant of Faith Church. Pastor Cooksey is a servant with a kingdom mind, passion for ministry and strong belief of operating in excellence. His commitment to prayer, diverse and unique foresight has allowed his ministry to reach beyond the church walls to become a global voice to the lost, sick, bereaved and hopeless. Pastor M. Keith Cooksey is married to TaKira L. Cooksey, the father of three children and the dynamic overseer of New Covenant of Faith Church.